Samantha Inoue-harte is an established and varied entertainment industry veteran. She is currently producing an untitled Anime live action adaptation feature, acting in the James Cameron/Robert Rodriguez live action adaptation of the anime Battle Angel Alita, and producing the 3D animated feature Tailchaser's Song, based on Tad Williams' novel. Samantha is also an accomplished veteran as a voice actress in over 43 Japanese anime and video game titles since 1998. Samantha's most recognized roles are in Kingsisle Entertainment's Pirate 101 and in Sony online Entertainment's DC Universe Online as DC Comic's The Mighty Isis and Lust, Sakura Wars as Kohran Ri, Magical Play as Pipin, and Final Fantasy Unlimited as the Chocobo and Cactaur. Her other titles include: Ascension the Videogame, Birth, Blade of the Phantom Master, Bratz, City Hunter the motion picture, Cosplay Complex, Dai Guard, Daphne in the Brilliant Blue, DearS, Devil Lady, Eden's Bowy, Gatchaman, Getbackers, Getter Robo, Gun Crazy, Happy Lesson, Jing: King of Bandits, Legend of Crystania the motion picture, Lost Universe, Mazinkaiser, Moeyo Ken, Nadia the Secret of Blue Water, Negima!, New Fist of the Northstar, Ninja Resrrection, Petite Princess Yucie, Princess Blade, Pumpkin Scissors, Queen Emeraldas, Sakura Diaries, Samurai X the OVAs, Samurai X the Motion Picture, Shuten Doji the Star Hand Kid, Soul Hunter, Steam Detectives, Tekken the Motion Picture, Trinity Blood, Wedding Peach, and Zone of the Enders. Samantha's resume also includes non anime specific work as well. 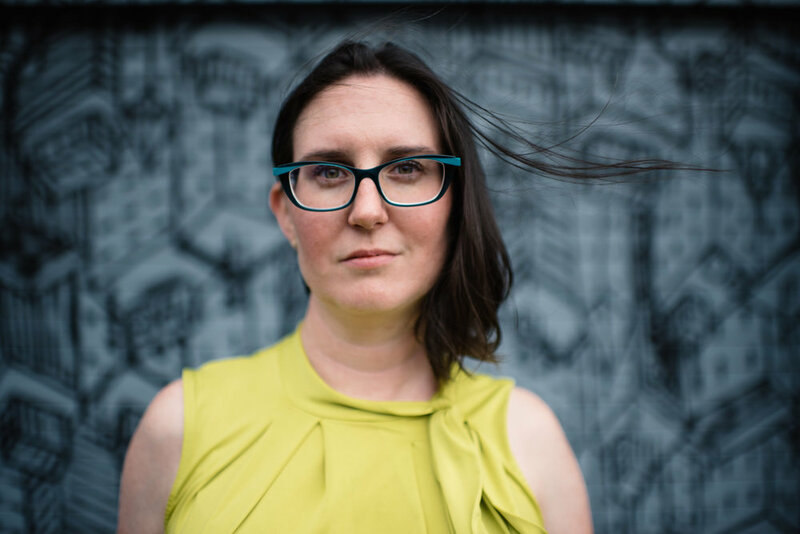 She has been an animation director for SpikeTV on Fresh Baked Videogames with Rick&Morty creator Justin Roiland, animated on Kevin Smith's Clerks: The Lost Episode, Lilo & Stitch 2: the Origins of Stitch, Disney's Villains' Revenge, Lonestar's "Mr. Mom" music video and many more. Samantha has acted and has been a stunt worker in many on camera features including: Appaloosa, Blacktino, Beatdown, Elvis & Annabelle, Exterminators, Grindhouse: Death Proof, Grindhouse: Panet Terror, How to Eat Fried Worms, Idiocracy, Jonah Hex, Kabluey, Machete, Machete Kills, Man of the House, National Lampoon's the Stoned Age, No Pain No Gain, Office Space, Shorts, Sin city, Sin City 2, Teeth, the 2 Bobs, Tree of Life, True Grit, and can been seen regularly in From Dusk Till Dawn the series. Samantha also dabbles in Gore FX makeup, which can be seen in Teeth, Predators, Shores of Another Sea, and Grindhouse Planet Terror. When not working in film, Samantha is often cooking wonderful meals, Cowboy Action Shooting, and playing Dungeons&Dragons or table top games. Jason is also a long-time company member/collaborator with world-renowned, devised/ experimental, Austin-based theatre company, the Rude Mechs & as such has travelled extensively with their original productions; highlights include the Lincoln Center-commissioned piece, Stop Hitting Yourself, in NYC, several collaborative development processes while in residence at Yale University & most recently in Austin as the titular character in their profane adaptation, Fixing King John. Additionally, he has a number of on-camera credits in independent projects & network supporting roles in Richard Linklater's Waking Life, NBC's Revolution & Chase, John Ridley's American Crime, Rooster Teeth's Day 5 & an upcoming feature film to be shot this Summer: Rearview Cataclysm. Andrea Caprotti is an animator and illustrator based in Austin, TX. She is currently an animator at Rooster Teeth, working on titles such as RWBY, Red vs. Blue and RWBY Chibi. She also co-hosts a podcast called No Script At All, which discusses a Japanese reality show. She has also worked as an animator at Cartoon Network Games, working on the browser-based MOBA game Adventure Time: Battle Party, and at Armature Studio on the X-Box exclusive game Recore. Andrea is also a well-versed, second generation anime fan. She grew up watching Portuguese and Spanish-language anime reruns on crappy local TV, and her mother is the biggest mech fan ever. She's an avid traveler, and has lived in Japan for a year in high school. She speaks four languages, likes to draw cute anime girls, and is a sucker for K-pop girl bands. She also likes cats, but who doesn't? Bill has been gaming for well over 30 years, starting with the original hardback AD&D books (which he still has, proudly showing them off to anyone foolish enough to ask) in 1980. He discovered the original Champions superhero RPG at the tender age of 11, and has been running various heroic adventures (alternating between D&D and HERO) ever since. People keep coming back to play, so he must be doing something right. A long-time resident of Colorado, he currently lives in Johnstown. Bill has worked as the layout designer and art director for Hero Games (Lucha Libre Hero, the Hero System Bestiary, Hero System Martial Arts Handbook, Hero System Equipment Guide, and others), Silverback Games (Champions: The LARP), High Rock Publishing (Kazei 5, Terracide, The Fires of Heaven, 3rd World, and others), and Make Big Things! (Threadbare). 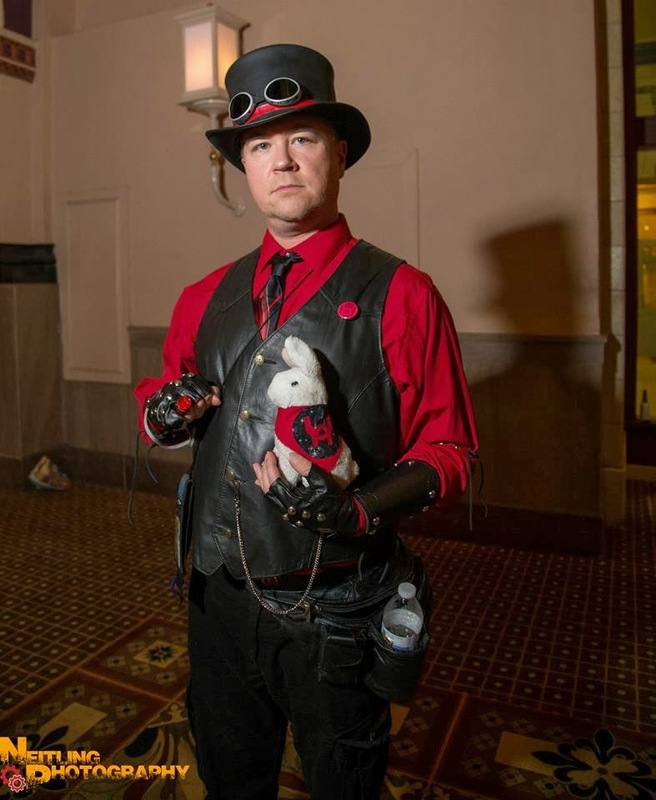 His first book, The Widening Gyre, is a world of steampunk and sorcery for Savage Worlds and the Hero System. A sequel to The Widening Gyre for Savage Worlds is due out in 2018. He is also working on a Retro-Scifi worldbook and a worldbook best described as “A cross between 7th Sea and Expedition to the Barrier Peaks,” both for Savage Worlds. Known as "The Bunny" (for reasons we are unable to explain), Bill claims to have been elected President in an rigged election, conquered the Midwest, been shot and killed at least once, sworn (and achieved!) vengeance on the gods themselves, crowned himself King of the World, become the arch-enemy of a llama, deposed the Pope, and had torrid love affairs with several well-known movie starlets. It is unlikely that any of these things are actually true, but it's best to just humor him when he gets like this. Wendelyn A. Reischl is a freelance writer, developer, designer, editor, and a lifelong gamer. Since joining the tabletop gaming industry in 2016, Wendelyn has worked with Post World Games, Gallant Knight Games, Yellow Piece Games, Analog Letters, and Ulisses North America. Recent RPG projects she has contributed to include [NM 156], Heaven’s Collapse, Cold Shadows, Tiny Dungeon 2e, Buccaneer: Through Hell and High Water, Madness & Desire, and TORG Eternity: The Living Land Sourcebook. Wendelyn holds the proud distinction of having named Wrath & Glory, the forthcoming Warhammer 40,000 RPG line, a project she is elated to be involved with. 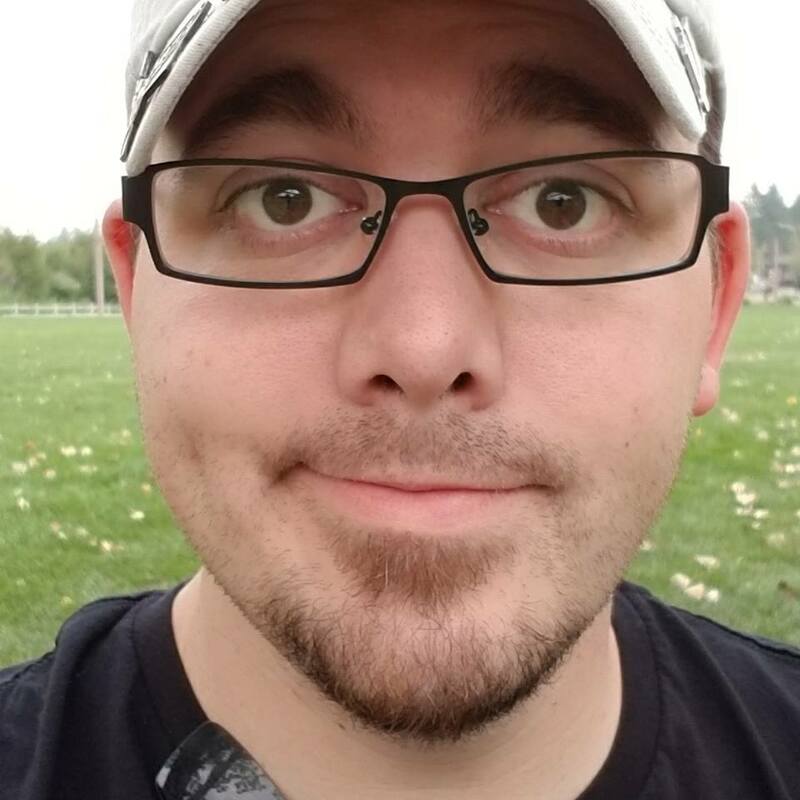 Wendeyn has spent more than a decade as a leader in the Colorado gaming community. She is the face of the Denver RPG Meetup, one of the world’s largest role playing meetup groups. Wendelyn also serves on the Board of Gamers Giving Inc., a charity organization that hosts table top gaming events in support of local causes. When not writing, running, or playing games, Wendelyn enjoys live theater, photography, bicycling around town, drinking cider, and traveling to historical sites around the world. Wendelyn lives in Denver, CO with her husband Brian, their cat Zuul, and frequently a house full of gamers. Her goal is to unite, expand, and uplift the gaming community. Like any superhero wannabe, Gilbert has a secret identity: during the day he helps people with his healing powers, while at night he creates fantastic universes where incredible characters live out amazing adventures. For some years now he has devoted himself to writing manuals, settings, and adventures for tabletop RPGs. Currently, he works freelance for a number of publishers. He’s the proud father of two children who are his greatest source of inspiration. Besides RPGs he writes novels, comics, and a lot of crazy projects that could save the world from the next alien invasion. Today, Miss Vielehr lives between Boston and New York, like many a good actor. She has acted for a myriad of companies in the Boston Area and performed at various venues in the country - once through a National Tour. She has even thrilled the silver screen with her shrill screams. Miss Vielehr loves musicals, Shakespeare, and children's theatre. She hopes to continue combat training (remember those hazardous environment?) so that she can pursue action films. Louis Zocchi, better known as Colonel Zocchi, is the infamous owner of GAMESCIENCE and the designer of the 100 sided dice, alongside many other accolades including playtesting such early wargames as Bismark, Afrika Korps, Jutland, Stalingrad, being the first editor of the Avolon Hill magazine, The General, Creating and offering the Star Fleet Battle Manual, and of course working on and making alot of DICE! Colonel Zocchi also is part of the Academy of Adventure Gaming's Hall of Fame, joining in 1987. Additionally he was honored as a "famous game designer" by being inducted into the Game Designers Hall of Fame and featured as the king of clubs in Flying Buffalo's 2009 Famous Game Designers Playing Card Deck. 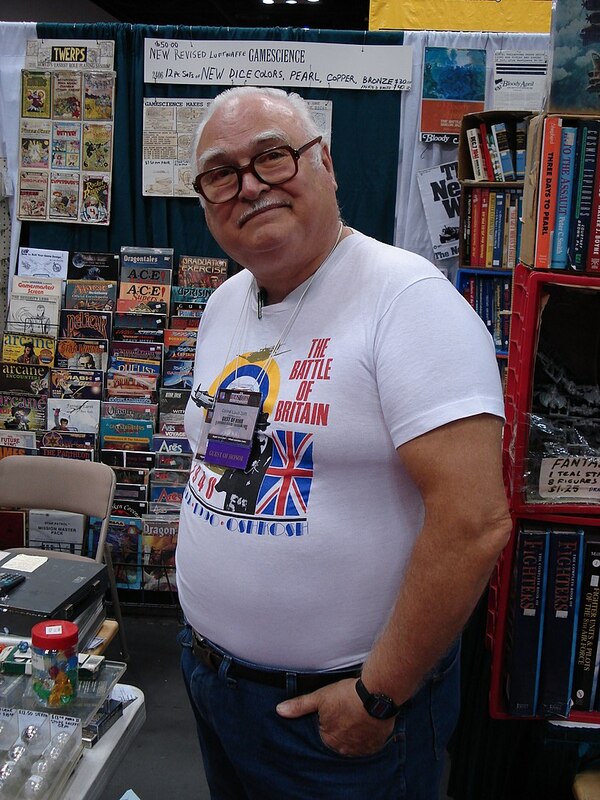 Colonel Zocchi will be in the Dealers room and offering all who wish to hear stories from over 40 plus years in the tabletop gaming! Sean Patrick Fannon (aka "Big Irish" or SPF) has been professionally involved in tabletop RPGs, computer games, and entertainment for over a quarter-century. His dozens of projects have included Hero Games' Champions product line; both West End's and Fantasy Flight's Star Wars RPGs; various World of Darkness books; and the Savage Worlds Epic High Fantasy setting, Shaintar. He was the Events Coordinator for GAMA (helping run both Origins and GTS), and chronicled the entire roleplaying game hobby and industry in The Fantasy Roleplaying Gamer's Bible, which sold over 10,000 copies. He worked for DriveThruRPG & RPGNow as the Marketing and Communications Director; during that period, he helped coordinate massive charity and relief efforts for folks like Doctors Without Borders and Feeding America, leveraging the RPG community's generosity. He continues that tradition as a member of the Board of Directors for the RPG Creators Relief Fund. Sean now focuses on his own gaming company, Evil Beagle Games ("Bad Dog. Good Games"), as well as serving as the Brand Manager for the Savage Rifts line. He's working directly with Pinnacle Entertainment and Palladium Books to create an entire line of books to bring the classic Rifts setting to Savage Worlds fans, which he says is his most challenging design project ever. You can follow his Pick of the Day - a daily showcase of both popular and hidden gem game products - at www.seanspickoftheday.com. Darrell Hayhurst resides in beautiful Tucson, Arizona. He lives on a steady diet wuxia and telenovelas, and just can’t stop writing role-playing games. He designed "Hard Vacuum," contributed to "Ninja Crusade Second Edition," wrote some keen adventures for "Savage Rifts," and now oversees the development of Torg Eternity for Ulisses North America. Phil is one of the Partners at Encoded Designs, which has published a number of games and supplements for D&D, Dungeon World, Fate, Paranoia, and Savage Worlds, as well as hacks of Lasers & Feelings—including the ENnie nominated Rockerboys & Vending Machines. He is currently working on Hydro Hacker Operatives; a hydro-punk sci-fi game. Senda Linaugh is one half of She’s a Super Geek, the actual play podcast highlighting women as GMs; and one half of Panda’s Talking Games, where she and gaming mogul Phil Vecchione tackle GMing advice for one shots and campaigns. Add those together and she is one whole podcaster. She has just published her first game, Love and Justice, and writes for Gnome Stew on the side. 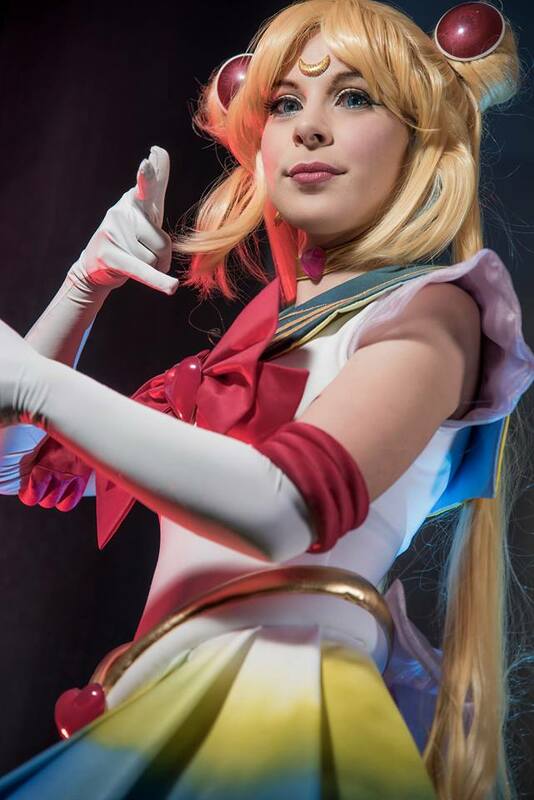 Alandra is a Colorado based cosplayer that has been active in the cosplay scene for almost 10 years. Alandra has always loved a challenge in costume and prop building. Often seeking out ways to use unconventional items in her builds such as trash cans and mannequins for armor and computer cables for jewelry. Alandra loves to share her tips and tricks when it comes to building almost any SciFi and Post Apocalyptic costumes. When not cosplaying, Alandra enjoys working on and showing her mini truck as well as gardening cacti. Dylan Boxer, a veteran to the Colorado cosplay community. 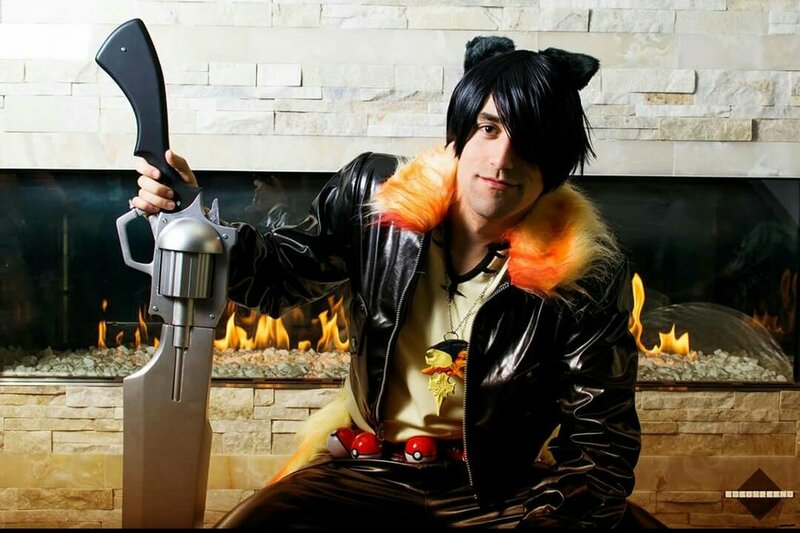 He's been cosplaying at conventions for over 7 years and is most recognized at cons such as NDK and Anime Fest. Known for his rendition of Auron (Final Fantasy X) and multiple gijinka pokemon cosplay, he is no stranger to looking good and having fun! Troublemaker Cosplay has held a deep love of all nerdy things from the second she came on this earth. Being raised on a healthy dose of Sci-fi and fantasy, the love grew into costuming. She started her cosplay journey in 2009 and knew that she would never get enough of the community that surrounds Conventions. Her happiness lays in performing in costume contests, she has won awards such as best in show and best in journeyman for her work. Heartless Aquarius is an Arizona-based cosplayer and actress. Ever since she first went to San Diego Comic Con in 2007, she was hooked on cosplaying and nerd culture. She designs and sews costumes, styles ornate wigs, and constructs props for both cosplay and film. When she is not buried under her schoolwork, you can find her hanging out with friends, watching anime, gaming, and finishing cosplays last minute for conventions. Tehray is an embodiment of the cute, the dark and the mysterious. An empress of passion and dedication and a vessel for originality. A freelance model, a dedicated cosplayer and a wonderful public speaker. She earns the respect of any audience on any subject. Kayden MacGregor is a cosplayer and prop maker from Colorado who gathers inspiration from games, movies, books, and TV shows. Kayden’s cosplay has been featured on websites such as Kotaku, Marvel.com, Fashionably Geek, and in the 2017 Men Vs Cosplay calendar. Kayden has been building costumes for himself and his family since 2013. Some of the memorable cosplays Kayden has created for himself include: The Iron Giant (Iron Giant), Yondu Udonta (Guardians of the Galaxy), Zoltan Chivay (Witcher III), Sole Survivor (Fallout 4), and Wilson Fisk (Daredevil). Xiled Cosplays & Entertainment Local male cosplayer of nearly 10 years, Denver native, multi-con guest, computer builder, and live streamer of two years Jinx, cosplayer-in-chief of Xiled Cosplays and Entertainment is back for his second Genghis Con as a guest. After seeing the new hotel Jinx is thrilled to be apart of the next era of Genghis Con!